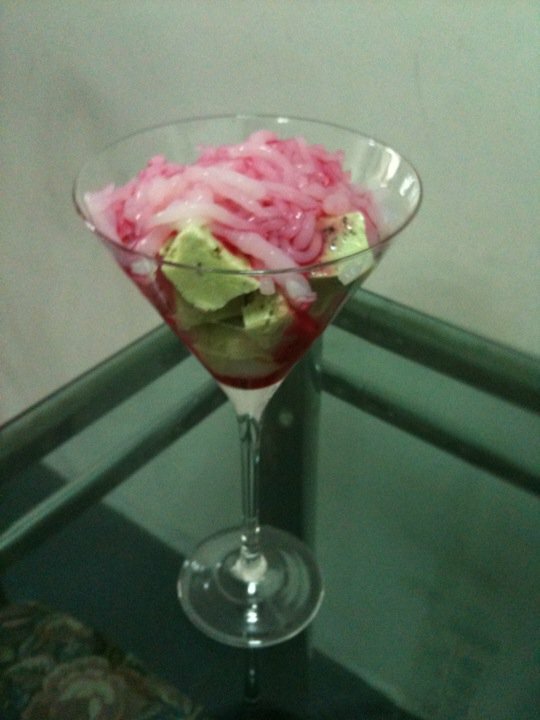 Rose Falooda | My Cooking Diaries "CooklikeCecilia.com"
Basil (sabja seeds), pick stones, if any & soak in crushed ice. Make the falooda strands by mixing the water and corn flour and cooking on low flame till it becomes thick and translucent. Take a vessel with some chilled water and ice. Press the cornflour paste (when still hot) through a ghatia press (shown below) directly into the chilled water and leave to set in the refrigerator. Soak the sabja seeds in crushed ice till they swell and become gelatinous. Store these ingredients in the refrigerator for 3 to 4 days and use when required. Top with chilled milk almost upto the brim then top with two or more scoops of valilla ice-cream. Garnish with vanilla wafer biscuits and serve. 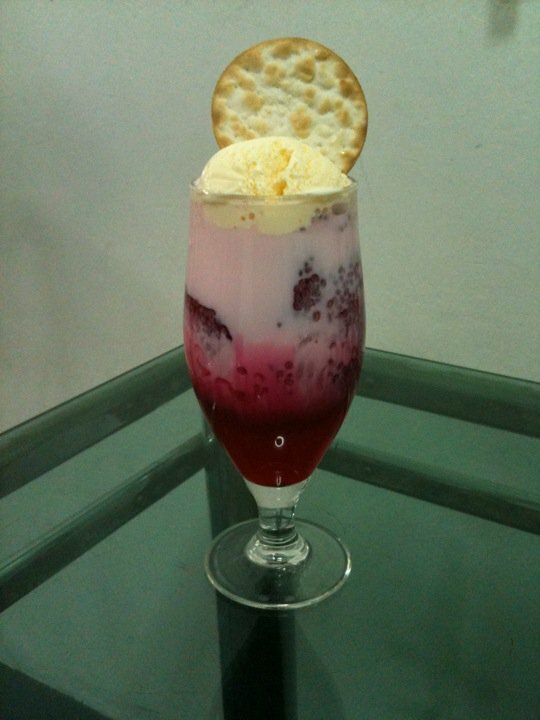 Kulfi may be topped with rose syrup and falooda for a delicious dessert. Click here Kulfi for Kulfi recipe. My Cooking Diaries on Hello World!